Jack is a 1½-year-old blue brindle male who is not tattooed. 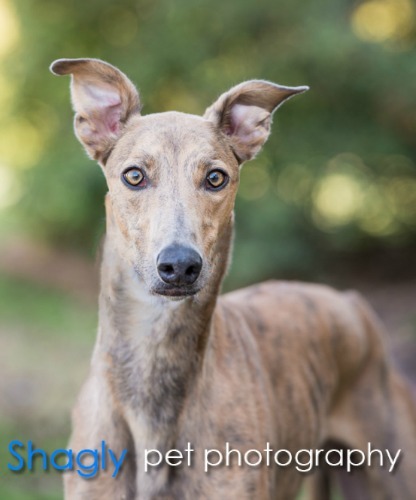 He was surrendered to the Amarillo shelter, and from there joined the GALT family. Jack has not yet been tested with cats or other small animals. Jack is an exuberant, bouncy boy! He would be very happy with older children to play with or other dogs who will run and play with him. He's also happy to curl up next to you and chill. Jack has a lovely sit and down. He knows how to use a dog door, and is very responsive to his name. Young dog that he is, he gets excited and jumps up on people. He also sees no problem with exploring tables and counters for anything remotely edible. We're working with him on these behaviors. Jack loves going on walks, and has enough energy and endurance to be a good jogging partner if you work up to longer distances slowly with him. This is one busy boy who loves toys to chew, toss, and chase. 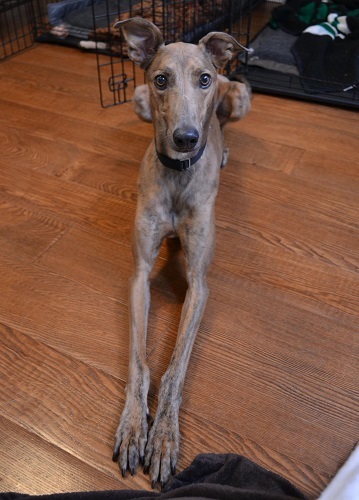 Unlike most greyhounds, Jack can be quite the talker when he wants you to play with him. He's a gorgeous boy who's eyes match his coat perfectly - and you get to see those eyes frequently, as he's very good at eye contact. 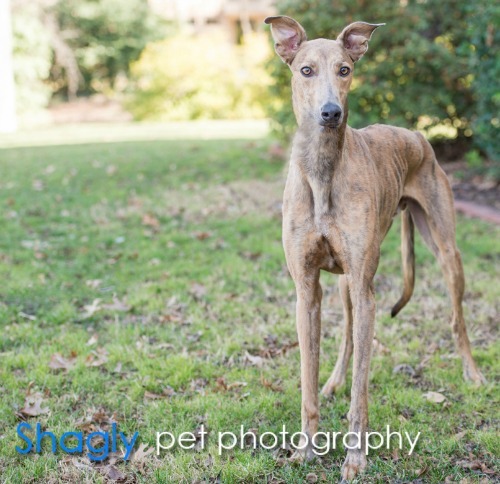 Jack is a smart boy who would thrive on obedience or even agility training.